The San Diego Fleet will be without two more defensive starters when they play the winless Memphis Express Saturday in Memphis, trying to post a rare Alliance of American Football road victory. Middle linebacker A.J. Tarpley will be sidelined because of a back injury and defensive end Damontre Moore won’t play because of a knee injury. Both players missed all three of this week’s practices. Cornerback Jude Adjei-Barimah will miss his third consecutive game after fracturing a wrist in the Feb. 9 opener, which he started. Tarpley was selected as the AAF’s defensive player of the week for returning an interception 27 yards for a touchdown that gave the Fleet the lead for good in their 31-11 victory over San Antonio last Sunday. Tarpley also made five tackles, including one for a loss, against the Commanders. The AAF marks a return to football for Tarpley after a three-year absence. He was an undrafted free agent out of Stanford who played 15 games for the Buffalo Bills in 2015, then retired from football on April 7, 2016, because of concussion concerns. Tarpley suffered his third and fourth concussions during the 2015 season. He is expected to be replaced by 21-year-old Frank Ginda, the Fleet’s youngest player, who has not made a tackle this season. Ginda was the leading tacker in the Football Bowl Subdivision in 2017 with 173 as a San Jose State junior. He decided to give up his senior season to be eligible for the NFL Draft. Ginda was not chosen in the 2018 NFL Draft. He signed with the Arizona Cardinals, but was cut before the start of training camp. He then signed with the Miami Dolphins, played in four preseason games, but was cut before the start of the season. Moore shares the team lead with 15 tackles. He has the second-most NFL experience among Fleet players with 55 games over six seasons with five teams. Moore is expected to be replaced by Meffy Koloamatangi, who has one tackle in one game with the Fleet. Road teams are 3-9 in the AAF’s first three weeks of play, a .250 winning percentage. Road teams in the NFL had a .398 winning percentage during the 2018 regular season. 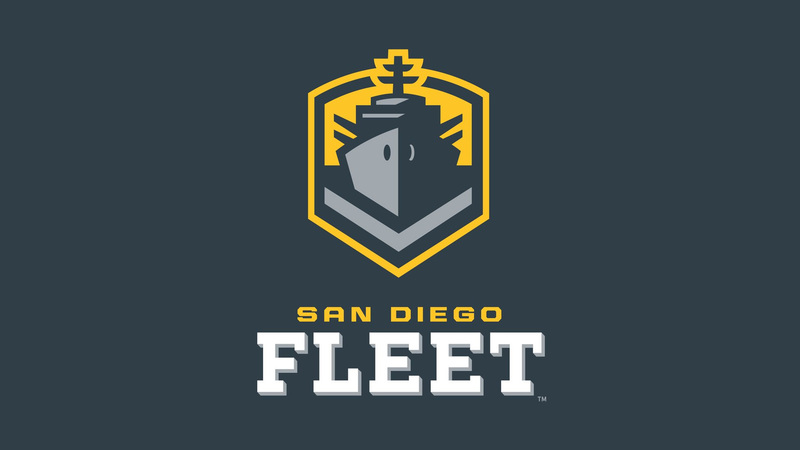 The Fleet (2-1) were 15-6 losers to San Antonio on Feb. 9 in their only road game. Mark Malone, the former NFL quarterback who will call the game for the streaming service B/R Live, said the “small sample size” was one reason for the lower winning percentage. Another reason Malone cited was the relatively short time teams have been together. Players reported to training camp the first week of January. Other reasons Malone cited were unfamiliarity with the offensive systems and “soft-tissue injuries” forcing starters out of the lineup and when that happens to the road team, their replacements have less time to prepare. “All that adds up,” he said. Memphis (0-3) will have a new starting quarterback — Zach Mettenberger, whose NFL experience includes three preseason games with the San Diego Chargers in 2016, along with 14 games with the Tennessee Titans from 2014- 15, 10 as the starter. “He’s grown and matured a lot since he was 23 and came into the NFL,” Malone said. “His biggest problems at the NFL level were accuracy and decision-making. Mettenberger replaced Christian Hackenberg at the start of the second half of last Saturday’s game against the undefeated Orlando Apollos with the Express trailing 9-0, and completed nine of 12 passes for 120 yards in a 21-17 loss. If Memphis “gets a good game out of Mettenberger, I wouldn’t be surprised if Memphis found a way to knock off the Fleet,” Malone said.